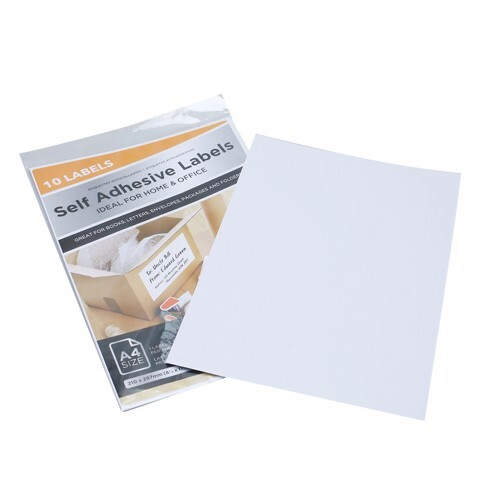 Adhesive Label A4 10Pk. A4 SIZE (210 X 297MM). WHITE. PAPER | ADHESIVE. 123G Packaging: OPP BAG WITH HEADER CARD.